I like the Osbournes. Don't get me wrong, back in the day when they did their reality series I used to watch and think what a bunch of idiots BUT they have gotten better and better with age-and now in 2014 we have two very sharp, sassy, slightly bonkers, hardworking businesswomen. 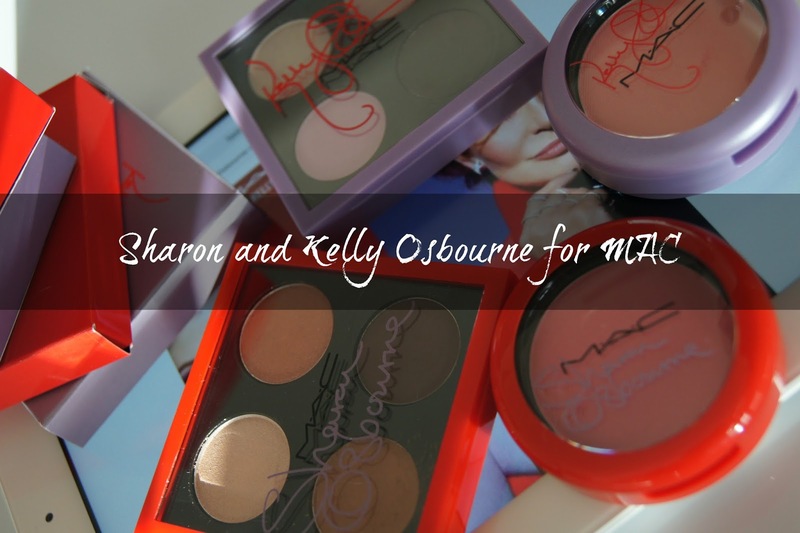 It's taken MAC 12 years to get them to agree to collaborate and I love the story behind the development of these products-Kelly and Sharon both went to MAC in NYC and spent hours playing with pots of pigment to get colours and finishes they liked, they gave samples to their friends to try and they named every single piece. They were both asked to think up 50 names and all of Sharons first choices were thrown out immediately as they were already taken or 'were not very PC'. All this has been a massive 18 month project. The packaging is inspired by Sharon and Kelly's signature hair colours-Sharons fiery red and Kelly's unmistakable lilac. The collection launched in the UK yesterday but in the US last week and I managed to snaffle some pieces as soon as they went online. A Dubai launch date is unknown and if any Dubai ladies want to know how I am able to order from MAC US it's using the Aramex Shop and Ship account using paypal and using the US shop and ship address office as my billing and delivery address. 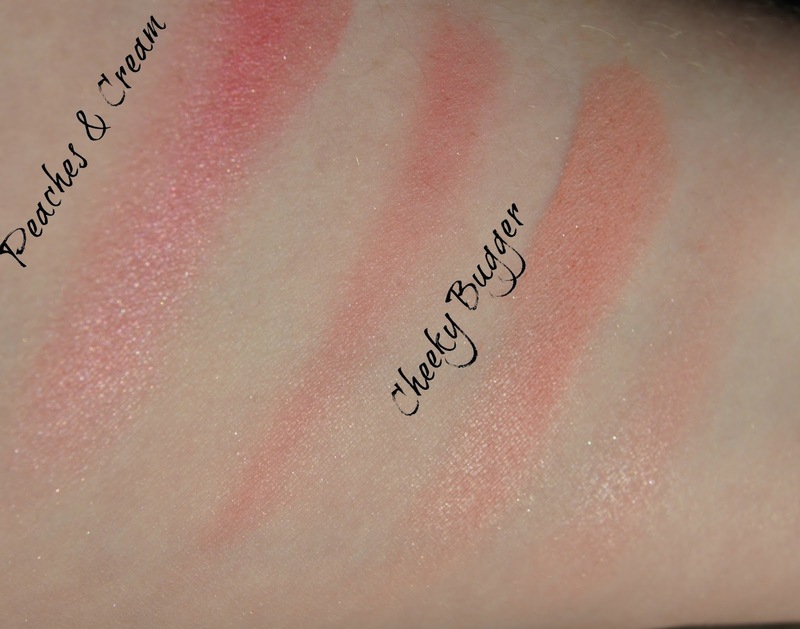 My items arrived yesterday so here is a sneak peek and some swatches. I picked up both eyeshadow palettes and both blushers. I also wanted Kelly Yum Yum but it was sold out Stateside so I picked it up from Selfridges and it should be in Dubai tomorrow. First up Kellys 'Bloody Brilliant' palette. This is probably my least favourite of the items I bought. When you look at the promo pictures, Kelly's eyes are undeniably incredible but that look wasn't achieved with this palette. Apart from Spoonful of sugar which I love, the colours are a little insipid and chalky making them difficult to blend and to keep definition between the colours. Shadowy lady-already part of the permanent collection-this should be a matte blackened plum but I really struggle to pick up very much of the plum shade. 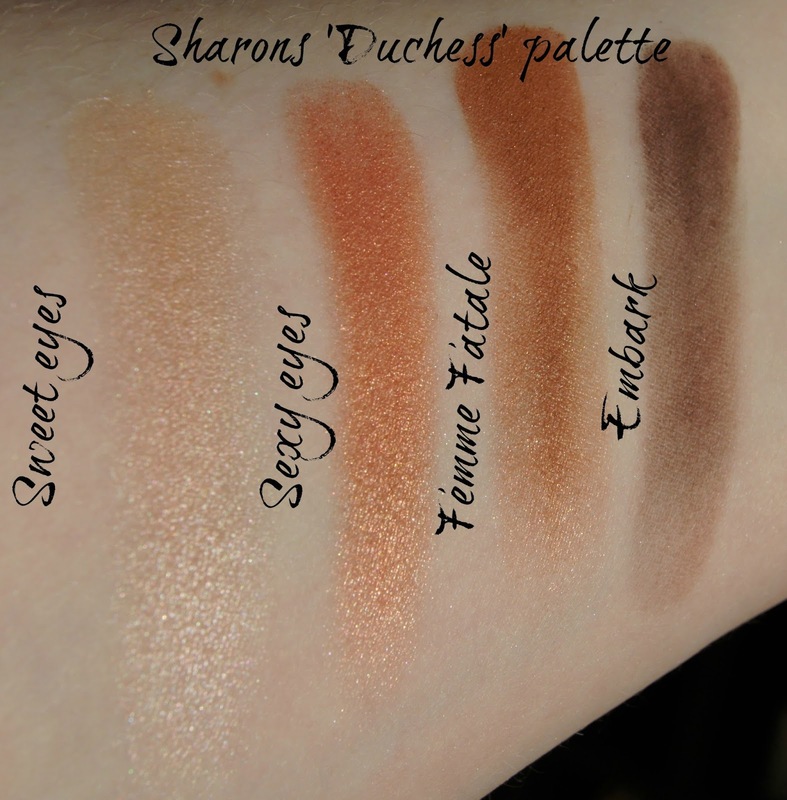 Next up and fairing much better is Sharons 'Dutchess' palette. The shadows in this palette are much smoother and easily to work with-blending is a dream and the whole palette is very warm in tone. I am addicted to MAC's 'Teddy' kohl liner which has a similar reddy undertone to these shadows and I think these colours will look particularly amazing on green and brown eyes. The blushers are my second choice from the collection-both are absolutely wearable and something I will get a lot of use out of this summer. Ok so there is nothing particularly groundbreaking about the shades and they are definitely dupeable but they work well on me. Sharons 'Peaches and Cream' does run more pink than the name suggests and is a moderately cool toned pink with subtle silver sparkle. You can see the sparkle in my heavy swatch but not in the blended out swatch. The lasting powder on both this blushes is incredible-10 hours after I applied it it is still going strong. Kellys 'Cheeky Bugger' is my favourite of my picks both in name and shade. It's a really really pretty peach with a satin finish. I am not exactly sure how this will fair on darker skintones but on pale girls like me it's just impossible to overdo and gives the prettiest flush. So there we are-my picks from the MAC Osbournes collaboration-tell me what you want/have bought-I would love to know your thoughts! A great post! The products you picked all look beautiful, but they don't really completely wow me, unfortunately. To me, MAC collections are nothing like what they used to be around eight years ago which is such a shame - I used to queue up outside my local MAC ready for it to open so I could get my hands on the latest, amazing items! I do too. Love the name of your blog!! Gorgeous looking products! I love your blog and I have started following you with Bloglovin and GFC. If you ever get a chance to check out my blog I would be delighted, thanks! I love everything you got! Both of the palettes are great! I really want Kelly's Bloody Brilliant palette! Oh 'Cheeky Bugger' looks so pretty! I don't understand why we don't get all the collections here in Dubai... weird! Have a lovely day Stacey! Cheeky Bugger does look really promising! I think it'll take this collection a couple more months to show up here though! Sometimes there is only a small delay, but other times it could be months (like this time)!